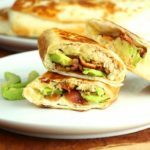 These chicken wraps are crispy on the outside, full of tasty chicken, melty cheese, bacon, and creamy avocado on the inside! Crispy Pepper Jack Chicken Wraps will become a dinner time favorite with minimal prep time. 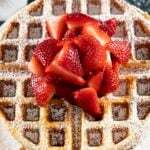 Remember to follow The Salty Marshmallow on Pinterest for more yummy recipes!! Ok you guys. The people have SPOKEN! 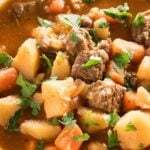 I’ve had request after request for easy dinner recipes, and I aim to please, so dinner ideas you all shall have! We’ve done things so far like an amazingly easy homemade weeknight pizza and a simple slow cooker nacho soup and just to keep your weeknights interesting I’m coming at you with this delish, versatile, minimal prep time chicken wrap! There are a few different ways you can go about whipping this wrap up. I like to put a couple of chicken breasts in the slow cooker, season them with taco seasoning, garlic, and cayenne, and just let them cook until I’m ready to stuff them in my tortilla. You can absolutely also just season the chicken how you like and cook it in a skillet on the stove until it’s cooked through, then shred it up for you wraps. 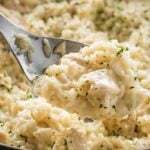 If you already have left over chicken from another meal, even better! Either way, quick and easy. I’d also recommend buying some pre-cooked bacon to have around for dinners like this one to make your life even more simple. 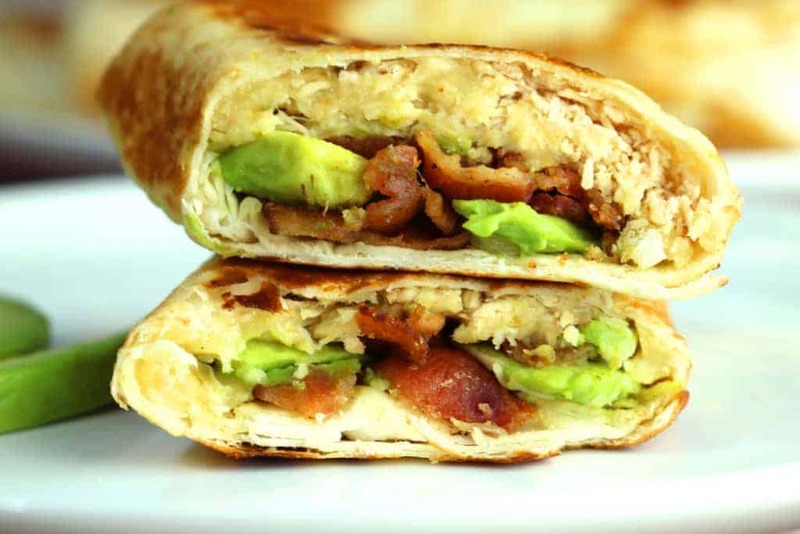 This wrap is full of shredded chicken mixed with spicy pepper jack cheese, slices of creamy avocado, and yummy bits of bacon. Pop it in a pan to crisp on each side for a few minutes….the easy, tasty, dinner of your dreams! P.S. 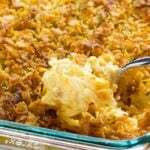 These also make great leftovers for lunch during the week! Remember to PIN IT to keep handy for later! You can find me on Facebook right HERE! If you are utilizing the 21 Day Fix program the containers have been determined as 1 slice = 1 yellow and 1 red and one blue. These determinations were made by my friend who is a Health & Fitness Mentor. If you’d like to find out more about the program or fitness and nutrition you can do so on her site HERE. 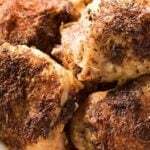 Seasonings for Chicken as Desired: Taco Seasoning Garlic, Cayenne Pepper, Salt, Pepper, Onion Powder, etc. Place seasoned chicken breasts into slow cooker, cook on low for 5-6 hours. 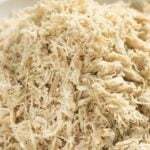 Take chicken out of slow cooker and shred with hand mixer or two forks. 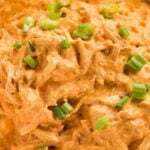 Mix chicken with shredded cheese. 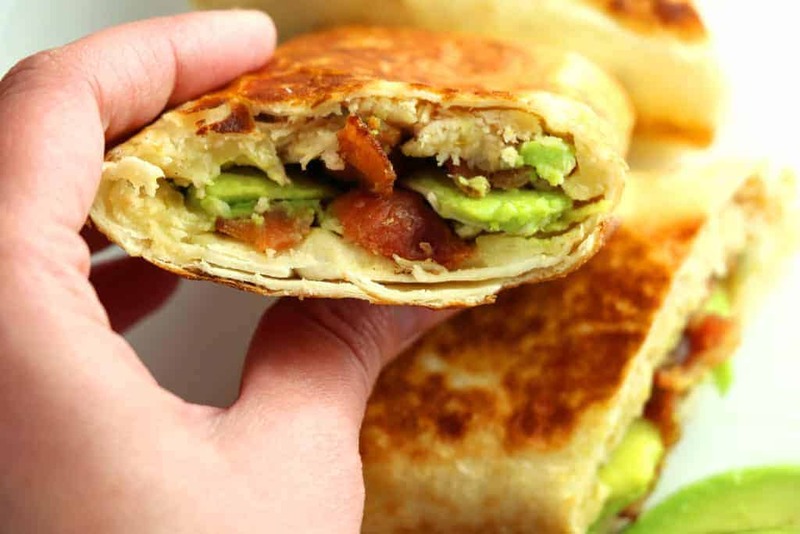 Fill each tortilla with chicken/cheese mixture, avocado, and bacon. Roll tortilla up "burrito style" tucking in the ends. Heat olive oil in a large skillet over medium heat and cook each wrap for 1-2 minutes per side until golden and crispy. Heat olive oil in a large skillet and add the seasoned chicken breasts. Cook chicken 5-6 minutes per side, or until juices run clear and chicken is no longer pink in the center. Remove chicken from skillet and shred, then mix with pepper jack cheese. Follow directions above for filling the wraps and cooking them until crisp. 5. 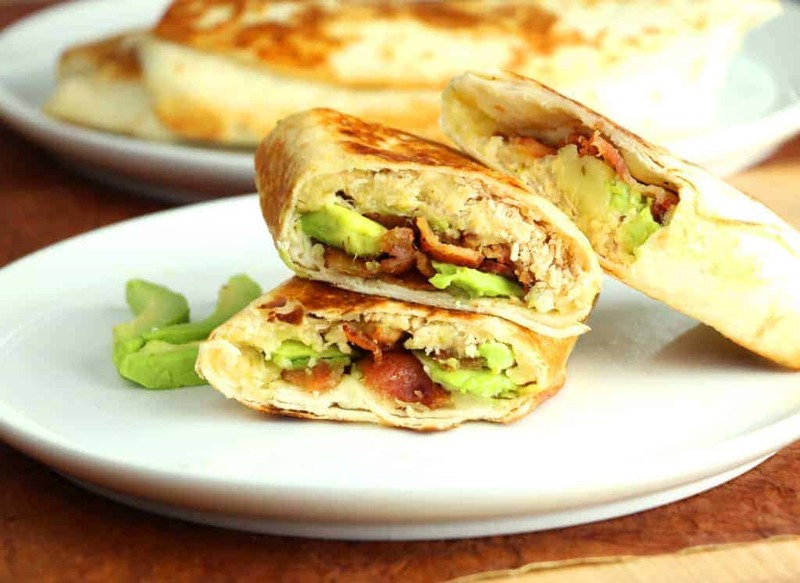 Fill each tortilla with chicken/cheese mixture, avocado, and bacon. Roll tortilla up “burrito style” tucking in the ends. These sound delicious! But I don’t see directions for “filling the wraps.” What am I missing? Can’t wait to try these!